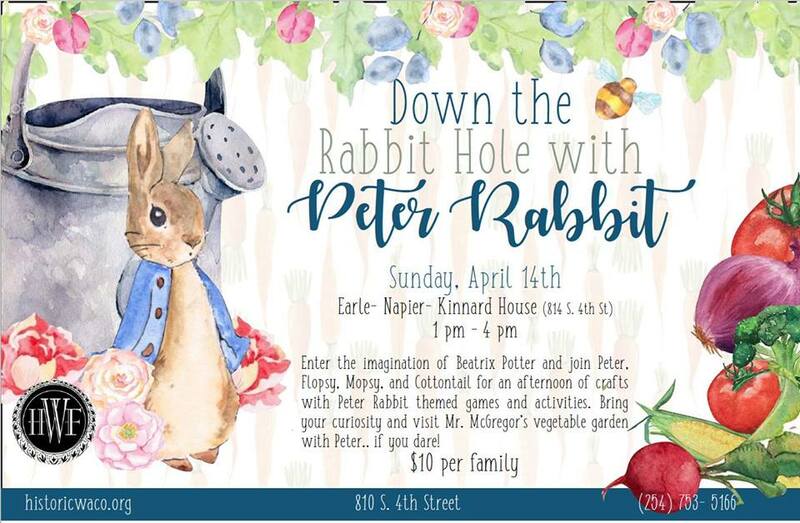 Enter the imagination of Beatrix Potter and join Peter, Flopsy, Mopsy, and Cottontail for an afternoon of crafts with Peter Rabbit themed games and activities. Bring your curiosity and visit Mr. McGregor’s vegetable garden with Peter.. if you dare! $10 per family.